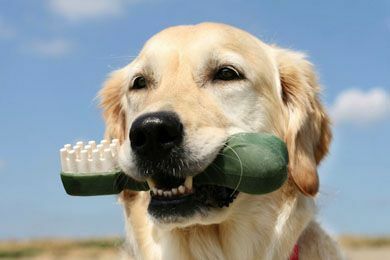 Keeping up with a routine dental care program is an essential part of keeping your dog or cat in good health. If you are looking for pet dental care in Cedar Park, Texas, consult our veterinarians at Block House Creek Animal Hospital for the best dental care available! Block House Creek Animal Hospital sees more pets with dental disease than any other health issue. Statistics show that dental disease is the most common disease in dogs with 92% of dogs over the age of three being affected. Although slightly less prevalent in cats, studies show that 85% of cats over the age of three struggle with the disease. By scheduling annual pet dental cleanings, you can greatly increase the time and quality of your pet’s life! We often recommend blood tests be done before dental care is started to help uncover any underlying illnesses. This gives us assurance that anesthetizing your pet is safe. We will also examine the animal’s entire mouth, including lips, tongue, gums and teeth before beginning. While under general anesthesia, your dog or cat can receive a thorough dental cleaning. We use a safe, local anesthesia and monitor your pet’s heart rate, oxygen and respiration. For more information on giving your pet the best pet dental care in Cedar Park, Texas, call Block House Creek Animal Hospital to schedule an appointment with our veterinary professionals!